Earnings before interest and tax (EBIT) EBIT GuideEBIT stands for Earnings Before Interest and Taxes and is one of the last subtotals in the income statement before net income. EBIT is also sometimes referred to as operating income and is called this because it's found by deducting all operating expenses (production and non-production costs) from sales revenue.is the company’s profit including all expenses but excluding interest and tax expenses. Capital employed is the total amount of equity invested in a business. Capital employed is commonly calculated as either total assets less current liabilitiesCurrent LiabilitiesCurrent liabilities are financial obligations of a business entity that are due and payable within a year. A company shows these on the balance sheet. A liability occurs when a company has undergone a transaction that has generated an expectation for a future outflow of cash or other economic resources. or fixed assets plus working capital requirement. Some analysts will use net operating profit in place of earnings before interest and taxes when calculating the return on capital employed. Let us compute the return on capital employed for Apple Inc. We will look at the financial statements of Apple for 2016 and 2017 and calculate the ROCE for each year. The return on capital employed shows how much operating income is generated for each dollar invested in capital. A higher ROCE is always more favorable as it implies that more profits are generated per dollar of capital employed. However, as with any other financial ratios, calculating just the ROCE of a company is not enough. Other profitability ratios such as return on assetsReturn on Assets & ROA FormulaReturn on assets (ROA), a form of return on investment, measures the profitability of a business in relation to its total assets. The ROA formula is used to indicate how well a company is performing by comparing the profit it's generating to the capital it's invested in assets. The higher the return, the more, return on invested capital, and return on equityReturn on Equity (ROE)Return on Equity (ROE) is a measure of a company’s profitability that takes a company’s annual return (net income) divided by the value of its total shareholders' equity (i.e. 12%). ROE combines the income statement and the balance sheet as the net income or profit is compared to the shareholders’ equity. should be used in conjunction with ROCE to determine whether a company is truly profitable or not. In the example with Apple Inc., a ROCE of 23% in 2017 means that for every dollar invested in capital, the company generated 23 cents in operating income. To determine whether Apple’s ROCE is good, it is important to compare it against its competitors and not across industries. Ensure that the companies are both in the same industry. Comparing the ROCE across industries does not offer any value. Ensure that the ROCE comparison between companies in the same industry uses numbers in the same period. Companies sometimes follow different year ends and it is misleading to compare the ROCE of companies over different time periods. Determine the benchmark ROCE of the industry. For example, a company with a ROCE of 20% may look good compared to a company with a ROCE of 10%. However, if the industry benchmark is 35%, both companies are considered to have a poor ROCE. Return on capital employed is a profitability ratio used to show how efficiently a company is using its capital to generate profits. Variations of the return on capital employed use NOPAT (net operating profit after tax) instead of EBIT (earnings between interest and taxes). A higher return on capital employed is always favorable as it indicates a more efficient use of capital employed. 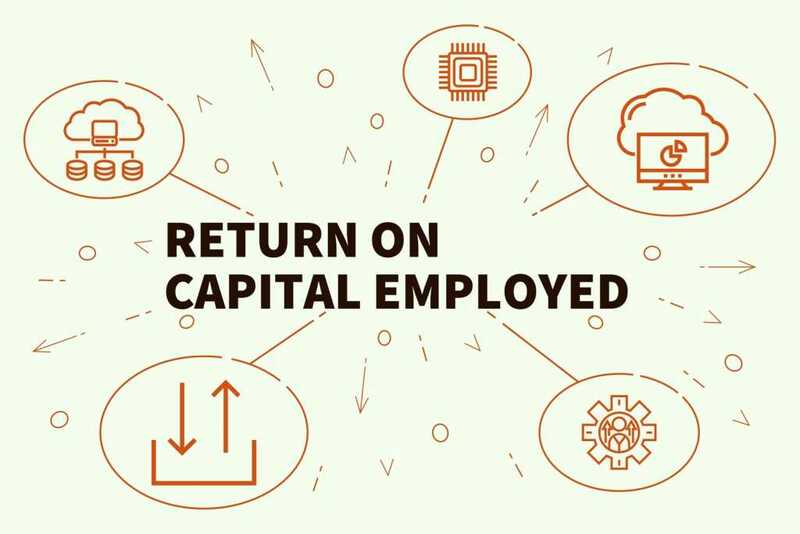 The return on capital employed should be used in conjunction with other profitability ratios such as return on invested capital, return on asset, etc. when determining company profitability. The return on capital employed should only be compared for companies operating in the same industry – comparisons across industries offer very little value.